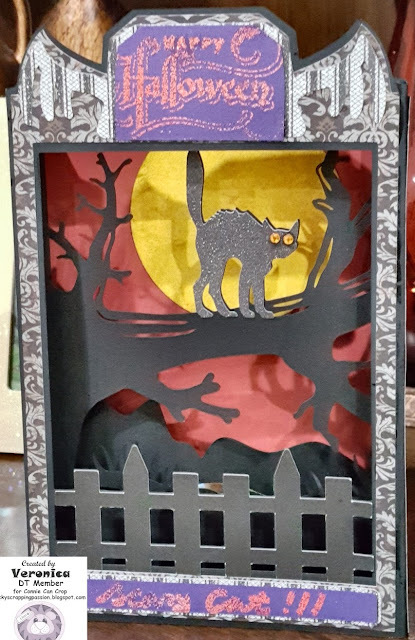 This is Veronica from Vicky's Scrapping Passion sharing with you a another box card, I created using the svg file from this month's sponsor: halloween-paperscape-box-cards-svg-bundle. I used some black, orange, lighter orange and barn red cardstock from CTMH, printed black CTMH paper, and some glittery Recollection printed paper for the title, and some rhinestones for the cats eyes. 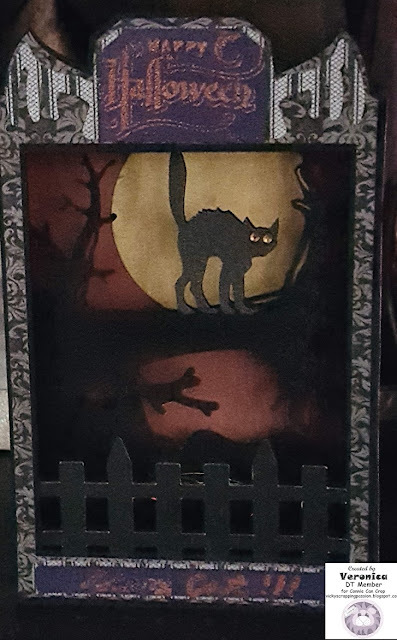 I stamped the title and sentiment using some old Halloween TH stamps and clear CTMH ink. Then I added some orange glittery embossing powder to the title and sentiment to make them shine some more, BTW, I handwrote the sentiment using a versamark marker. Love this! You did beautiful work!